A gimmicky side project collaboration featuring Dan the Automator, Mike Patton, Jennifer Charles, Kid Koala and others. Automator has made a whole career of these kinds of things: witness his work with Kool Keith, Prince Paul, Deltron 3030, etc. He employs a slightly more ethereal variation of classic boom bap production, like Marley Marl for the MDMA crowd. Meaning: he’s not quite as creative as he thinks he is. Piano loops, Ultimate Beats and Breaks drums, scratched choruses – this is not groundbreaking stuff. His beats are not as complex or offbeat as frequent collaborator Prince Paul, or at least his attempts at experimentation feel like riffs on previously charted territory. But when the sound works – as it does here – it makes for cool atmospheric hip hop, a bit unusual but grounded in its cultural roots. The highlights of this album are fantastic: check out “Anger Management,” “To Catch A Thief,” and “Lifeboat” for some distinctive, melodic vocal work over Automator’s production. Sure, it mostly just sounds like Portishead, but Mike Patton is on here too. He’s in full whispering Italian lothario mode on most of these tracks, which gets a bit tiresome quite frankly. I would have liked to hear more of the sort of vocal variation that we know he’s capable of, but I suppose his demented screaming character would not have worked within the corny romantic theme of the album. He does sound a little like Captain Beefheart at times, so there’s that. But Jennifer Charles seems to work more effectively on these tracks, as her sultry, breathy performances are perfectly suited to the slow, atmospheric beats. She sings like a half-lidded chanteuse just barely conscious enough to drawl one final take before she collapses into some guy’s lap, and that’s just the right sort of tone for this album. The non-vocal instrumentals are good enough, although they tend to drag. “Everyone Has A Summer” has some clever quotes and scratches (Elaine from Airplane is in the mix!) but it just goes on too long; ditto for “Lies And Alibis” and others. You really have to keep the instrumental interludes under two minutes on albums like this. And there are some attempts at humor that fall as flat as they did on the Handsome Boy Modeling School albums with Prince Paul. It’s like they go through a lot of work, jumping through all these sonic hoops to try to come up with something “clever,” but it’s too labored and transparent. The skits don’t really detract from the flow of the album, but they don’t add anything either. 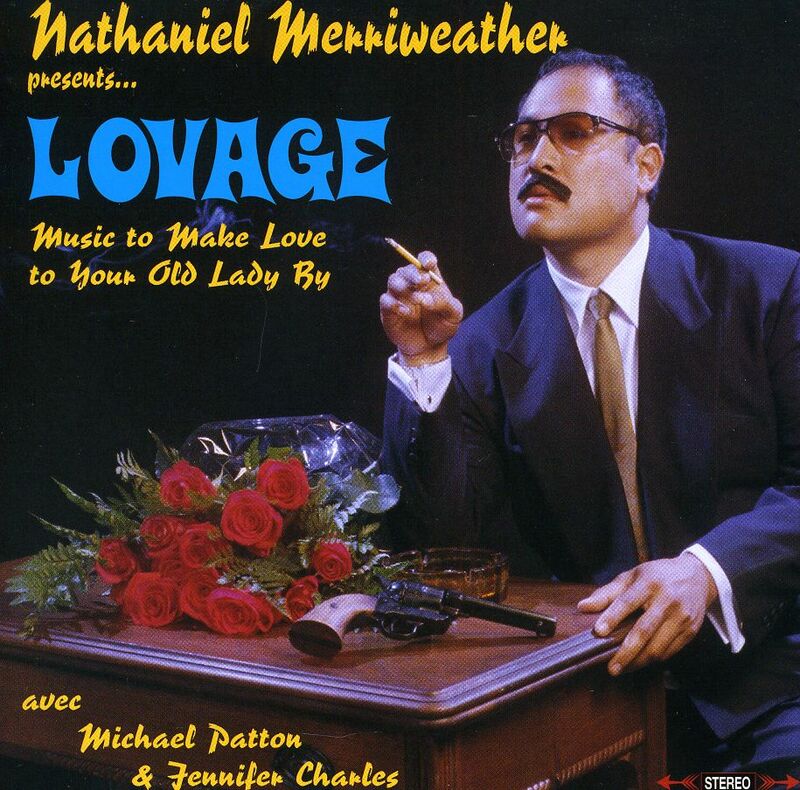 Lovage is still a cool, very listenable album that comes off like a goofier Portishead. With Mike Patton as Captain Beefheart!